My long awaited visit to Cuba materialised from 9th to 17th December, 2011. I have been trying for this visit from the beginning of my assignment in Trinidad & Tobago in October end 2010. In fact my reluctant acceptance of this assignment was due to the close proximity of Cuba and Venezuela to the country and a chance to visit the two nations with hopes of seeing Socialism in action. Developed friendship with Cuban and Venezuelan embassies in Port of Spain from February beginning, meeting the ambassadors from both the countries on some function organised in Bolivarian embassy of Venezuela. Started attending many functions and expressing my solidarity as well, addressing a few. Became member of ‘Friends of Cuba’ and gave the proposal to Cuban and Venezuelan embassy to deliver lectures on Che Guevara and Bhagat Singh. The proposal was sent to Cuban embassy in Delhi, where Ambassador Miguel Ramirez was personally well acquainted and had my book on Bhagat Singh. However, nothing worked out, tried through CPM leader Sita Ram Yechuri, Dr Lal Khan, through face book sites, through Pritam’s Trotskyite friends, through Indian embassies in Cuba and Venezuela, through Socialist party activists form Margarita, where I had gone. So as last attempt, I had to take recourse to Travel agency and opt to go as Tourist, as I was put to link with Producto travel agency by Cuban Counsellor in Trinidad Ana Silvia. This was going to be an expensive trip, but I could not miss the chance as from India it would have become more expensive. It came to nearly 2400 US dollars or one lakh twenty thousand plus rupees in Indian currency. So I took flight on 9th December evening via Panama, wished to spend a day in Panama, but visa problem created unnecessary complication and dropped the idea to stop over for one night, though later came to know that Indian official passport holders did not require Visa, so had to miss the one day trip. From Panama changed the flight and reached Havana at late night 11.45 pm or so. The man from travel agency came to receive and put me on a taxi, entering which got my back jerked. I was put up in Cuban govt. Neptune hotel of middle level, room was OK. Did not sleep well in first night, was ready by 9.15 am on 10th morning, when travel agency man Rafael came around 10 am, with whom I planned my week long trip. On first day I could just reach Revolution square after 1.30 pm only. I had exchanged dollars with Cubar currency Pesos and had to spend three Pesos for half an hour use of internet at hotel computer. First thing I saw in Havana was Revolution Museum, depicting the history of Cuban revolution in pictures, paintings and documents. Kept on clicking on my not very good camera and mobile. After completing round of Revolutionary museum, saw real ‘Granma’ sea boat yacht, on which Castro-Che came with total of 82 guerrillas to make revolution in 1956. Started journey on 25th November and reaching Sierra Maestra mountains by 2nd December. By the time Granma reached Cuban shores, Batista army had attacked them viciously and only 15-20 Guerrillas survived including Castro brothers, Che Guevara, Camilo Cienfuegos and few more. They found each other in few weeks and organised Cuban people in such a way that by 1st January 1959, they could liberate Cuba from Batista regime and make socialist revolution. From Granma, walked over to Capitola, the capital site of Batista regime, more like Capitol of Washington. Took photographs sitting in old Cuban cars put on display, saw huge queues for film show in cinema house there, had a look at old classic theatre and Jose Marti statues around. On 11th December Sunday had walk towards sea side near hotel. For city tour went first to Revolutionary Plaza, a huge spacious place with very big white statue of Jose Marti, around which all Cuban Govt offices are there, on one side National Library and on offices sites-two huge artistic sketches of two popular heroes of Cuba-Che and Camilo are displayed. National theatre was also around the area. We were taken to Cuban rum and cigar factory shop, where I bought few cigars and rum. Later on we moved to Old Havana city, having charm of its own, saw one bar, where Hemingway was a regular visitor, sometimes Castro joined him. Hemingway signature and phonographs figure there, small but always crowded place. Perhaps took one mojito shot there. Met two Mexican tourists and got clicked also with one black lady. One artist just made sketch of mine in pencil and gifted me, but could not pay him anything. Returned to hotel by early evening. Producto agent Rafael came to tell Santiago arrangements. Went for long walk among localities and saw people’s houses and their living style. Small houses, many people sitting outside courtyards. Hardly any house with a car. The huge houses vacated by Cuban rich fled to Miami, were all turned into embassies, government offices, schools etc. On Monday 12th December, after getting ready went to Rafael office, got some currency problem settled from Republic Bank, in which I had account in UWI Trinidad. Went to visit University of Havana first and met Dr Carmen, who was waiting in Che Guevara study dept, she gifted a book for JNU VC/library in Spanish. Later met Milagros in Che centre and gave her my papers on Bhagat Singh. From there came over to Jose Marti research centre, met its director Dr Rafael, an old scholar, bought few books from bookshop there of Jose Marti. Before that visited Indian embassy in Havana and had lunch and coffee there. In afternoon moved to Hemingway museum, a bit away. Huge house, where Hemingway lived now turned into museum. His bedroom or study room, full of books, his working room and his old typewriter on it, which I clicked also, etc. Could only be seen through glass walls. Saw his huge personal boat or yacht, which he had bought in those days in 7000 dollars, huge amount. Hemingway was quite close to Fidel Castro, as he was later to Marquez, outliving both! Bought few music dvd’s from shop there. Moved to Indian embassy from there and embassy staffer from Bathinda side Suresh Kumar took me to his house where he lived alone and served me with Cuban rum and cigar. He thought, I could be close to Trinidad’s Indian High Commissioner, but he found I am not, so he lost interest. He dropped me at my hotel, near his house, where I had my dinner. On 13th December I visited Che Guevara home also, which is now turned into research centre. It was closed for renovation, met some officials, Che daughter was abroad and could not get any connectivity to his other family members. On 14th December visited ICAP-Cuban government institute for friendship with other countries’ peoples. Met its director Odalio and pacific in-charge Ringberton, presented them Bhagat Singh Jail Notebook copies, they promised to send one copy to Fidel Castro, one copy was sent earlier through Trinidad Cuban ambassador. It was pleasant discussion and they arranged for my Santiago ICAP contacts also. This day visited Sun house handicraft market also, bought few items. Also took long round, visiting Alicia Alfonso art/dance museum, walked through statues of African and other revolutionaries including one of Salvador Allende of Chile. In different places saw busts of Gandhi and Tagore somewhere. Could not reach Indian embassy before its closure time, so had to reach hotel on taxi, from where moved to Indian ambassador Deepak Bhojwani’s house for a party. His wife Shaila Arshi, a Punjabi woman was from JNU, could be my contemporary. I enjoyed this evening with some cultural items including one on Tagore. Met ICAP Vice President and former Cuban ambassador to India Ramirez, who came with his family-a warm meeting and with few other Cubans. Had Mojito shots and took dinner before coming over to hotel. I gifted my Bhagat Singh Jail Notebook and other books to Ambassador Bhojwani also. Bhagwat Swarup Ketyar, second senior embassy official was helpful in many things. On 15th morning got ready in time for going to Santiago. Taxi driver Williams’s father came today to drop me at airport. On the way he shared lot of interesting stories about Fidel Castro, he being a Communist party member was privy to such stories. He told how Castro spent more than a month in Chile after Allende came to power and made a stirring speech there. Flight to Santiago took earlier than time at 12.15 pm and reached by 1.40 pm. But it took two hours to reach hotel and on the way crossed Moncada Bridge—a site of Castro’s 1953- 26th Julio movement attack on Moncada garrison. After having nice lunch of fish, walked up to Young communist league, ICAP and other offices/buildings on straight road, moving up to Communist party regional office. Spent some time in party office watching Fidel Castro photographs, was irritated by bureaucratic attitude of communist cadres of mass organisations. Walked for more than two and half hours covering 6-7 kilometres. Met young communist cultural workers. Had two cocktails or rum punch before dinner. On 16th December-Got up too early and went for walk. Walked through hospital building and few other buildings with graffiti of Cuban revolutionaries. Got ready by 9.30 am and went to ICAP office, they arranged for English knowing young man to accompany me on their office old fiat car with broken doors. I got gasoline filled for ten pesos. First we came to revolution plaza, where grand monument of revolutionary Antonio Maceau with 2-3 swords in hand. Under the monument, there is museum of revolutionaries, which is very impressive. From this Plaza Fidel had proclaimed liberation of Cuba. From plaza we moved to a place—a house from where Fidel Castro began attack on Moncada on 26th July with 104 men, out of which more than sixty were killed and Castro sentenced to 15 years imprisonment—his court statement became classic—’History will absolve me’! It is a house now well preserved as museum, belonged to two women close to party. Moved to actual garrison site which again is now museum with photographs of all attackers including those who were martyred. The clothes, torture weapons etc. displayed in this museum now. On return had lunch of pork-rice at some reasonable restaurant, but did not like its taste, but it’s common Cuban food. Saw one woman beggar there. In evening there was ICAP cultural function in support of “Free Cuban 5′. I joined the function. Bolivian group’s musical performance was quite good, got clicked with them. I was also invited to speak and spoke for about ten minutes, expressing solidarity. Returned to hotel and afterwards to airport for return flight to Havana by 8 pm, flight was at 10.50 pm, had sandwich. Flight took long time and reached Havana by 12.15 am, reaching hotel by 2 am. 17th December—Santa Clara—Got only four hour rest, got ready by 8.30 am. Taxi driver Williams waited for an hour. After breakfast, took 276 kilometre journey on eight lane highway, reaching Che monuments by 11.30 am. Spent three hours at grand monument with huge Che statue, 220 martyrs’ graves. A sombre hall where Che and Tania’s last remains are placed, which cannot be clicked. One feels humbled there. Met library researchers there, gifted my Bhagat Singh’s Jail Note Book. One senior researcher came over with me to city to show the revolutionary monuments—Railway station, where Che’s 23 warriors captured train full of army men and weapons, now a museum. Monuments in city. Santa Clara quiet town with Che statue at city hall with a child in his arms. Bought few t-shirts etc. Did not eat or stop due to time constraint. Only on return journey stopped at two places to have some food. While on return journey watching photographs on camera, formatted the camera by mistake and felt horrified by losing the precious collection of so many photographs. 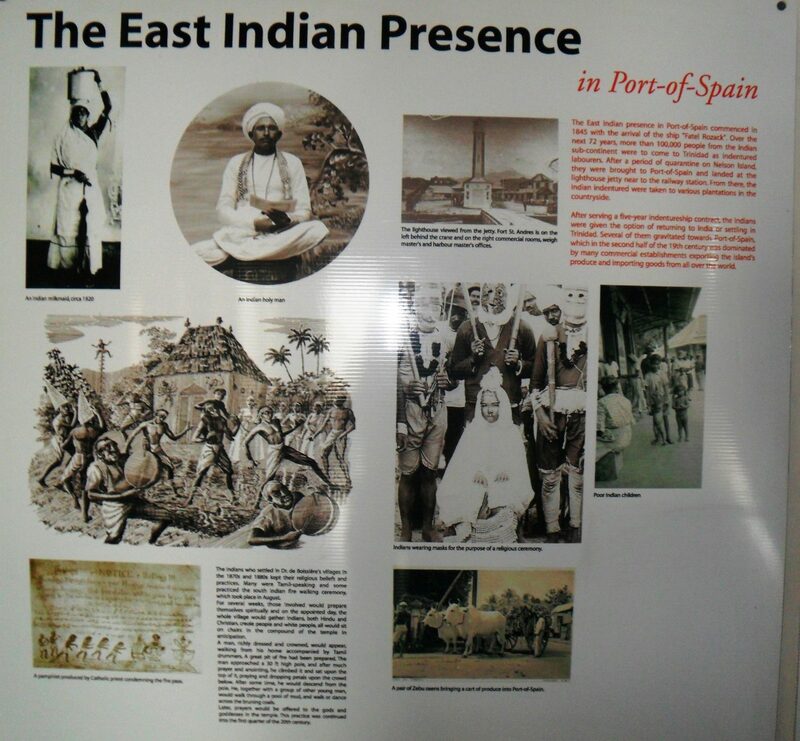 Returned to Port of Spain by next day. With the help of UWI centre was able to recover 80-90% of photographs but quality suffered, still felt happy that my Cuba’s most cherished visit photographs were not completely lost! Out of all my trips abroad, Cuban trip was the most cherished one and yet I was not able to write its travel account, though started writing on 21st December 2011 but only a paragraph, except for taking hand written daily notes on my 2011 diary. Now after five years, I have been able to type down the diary notes based account of Cuba trip. The film portrays Mountbatten as a humanist, but his role in dividing India does not make him the person as has been shown. The first thing that comes to mind about Gurinder Chadha’s Partition-1947 is why does a film need two English names even though one is for its Hindi version. Chadha has based the film on two books – Larry Collins and Dominique Lapierre’s much-popular Freedom at Midnight (1975) and another lesser known book by Narendra Singh Sarila – Shadow of the Great Game: The Untold story of India’s Partition (2006). Although Sarila’s work is lesser known among popular books, it is valued more in academic circles and was translated in Hindi by reputed publisher Rajkamal, which published it in 2008 (even before Harper Collins published its Indian edition in 2009). Its first edition was published by Carroll and Graf publishers New York in 2006. There are a number of books on Partition and some much more important than these two, but Chadha wanted to make a feature film and not a documentary. So, she perhaps chose the text which has some dramatic elements in it, just as Freedom at Midnight. Gurdas Maan earlier made a film on this book’s narration of Boota Singh’s tragic story, Shaheed-e-Mohabbat in 1999. Chadha’s film was released in the UK in March 2017 as Viceroy’s House and in India as Partition-1947 in Hindi in August this year to mark the 71st year of Partition and to coincide with the opening of Partition Museum in Amritsar on August 17. The film begins with the arrival of Lord Mountbatten in India to oversee the grant of Independence under the new Labour government of the UK which came to power following the defeat of Conservative Winston Churchill in 1945. Churchill was considered diehard anti-India and critical of even Mahatma Gandhi, generally a favourite of British rulers. Churchill had made nasty remarks even on the 1943 Bengal famine, which had killed lakhs of people. Sarila was the secretary (or ADC) to Lord Mountbatten and the film is made in a way from Mountbatten’s perception. The film portrays Mountbatten as a humanist and pro-Indian person, but his role to divide India at breakneck speed without bothering about consequences (of massacres among communities) does not make him the person in history as has been shown in the film and related books, which have been written on the testimony of Mountbatten himself. Mountbatten was related to British monarchs and has no political experience, he remained a high navy officer before and after being the last viceroy and first governor general of post 1947 India. The film is otherwise moving and brings tears to the sensitive viewers as has happened with Fatima Bhutto and myself and another Sikh gentleman watching the film in Chandigarh during the same show. But dispassionate analysis of the events in the film and in history does not absolve Mountbatten, Congress leaders and Mohammad Ali Jinnah of the worst crimes against humanity in history. Nearly one million Hindu, Sikhs and Muslims killed each other in communal clashes, more than 14 million suffered the worst conditions of migration in the scorching heat and rainy weather of August, not to mention the untold tortures and crimes against women of all three communities. Chadha’s own ancestors suffered during Partition and her concern is well taken, but her sense of historical depiction of events is flawed. In fact, the man Cyril Radcliffe who was asked to divide India and Pakistan by drawing just a line on the map felt guilty himself and did not charge any fee for the “dirty work” he was asked to do. It is “revealed” in the movie that the plot was already hatched by the Churchill government and the boundary lines were drawn by him in 1945 itself – the same were to be drawn by Radcliffe, it was ensured. The secret papers were shown to both Radcliffe and Mountbatten, who is being shown to be devastated by the conspiracy of Churchill and yet fulfils the colonial design to keep Soviet Union away from the post-partition political game. To create Pakistan as the new colony of US imperialism since Nehru was showing pro-Soviet tilt in his thinking. But a feature film needs a story and a hero and heroine. So, Partitionhas Jeet, played impressively by Manish Dayal, and Aalia, played equally well by Huma Qureshi. A Hindu boy and a Muslim girl, who fall in love and meet in the end like most films with happy endings. But all that come after lot of Partition-related pain. Interestingly, Raja Samar Singh Sarila, son of Narinder Singh Sarila, has played the role of his father as Mountbatten’s ADC in the film. A lot of creative literature, paintings and films have been dedicated to Partition and will continue to be done. Perhaps Indo-Pakistan joint venture in Punjabi, Khamosh Pani or Garm Hawa, may have scored better than any other films on the subject till date. Partition-1947 could have been more impressive, had it focused more upon the last five years. The film fails to bring to notice the one positive attempt to avoid Partition made by the Cripps mission, first in 1942 and then in 1946 as Cabinet mission led by Stafford Cripps, who was a leftist among Labour leaders and had offered the federal scheme of India. If one looks at it after 70 years, the federal India proposed by Cripps was the best option in those days to avoid Partition. It could have saved million lives and many millions suffering. The Mountbatten’s biggest criminal act was to force Partition in just two-and-a-half months – from June 3 partition plan of Mountbatten to August 14, 1947 (birth of a new nation Pakistan). He had time till June 1948 and there was no need to rush through. The best time, if at all there were any, could have been November 1947 or April 1948 – the weather conditions would have improved and the armed forces too would have been properly trained to stop massacres. In fact, Dr BR Ambedkar was in favour of Partition but with peaceful mutual migration of communities. Alternately, Jinnah and Nehru could had been stricter in not allowing any mass migration of communities and both countries could have lived with minorities in more peaceful manner after 1947. But a film is a film and it must have a story. 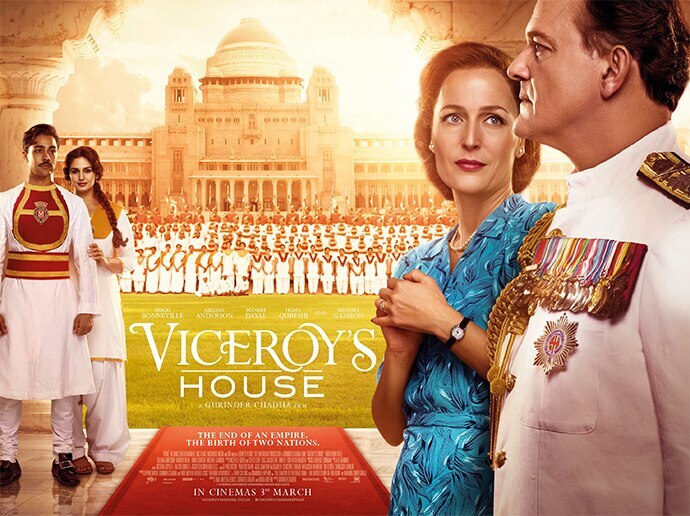 So, Viceroy’s House has communal tensions in its own staff, who fight in front of him, though may not be to that extent as has been exaggerated in the film, making an excuse for Mountbatten to hasten the Partition process. He did it, but history can not absolve him of shirking away his responsibility of not controlling violence under his command. Most of the violence took place from August 1946 – Muslim League direct action call to August-September 1947. Ironically, Mountbatten did not die naturally as he was assassinated by Irish nationalists at the age of 79. And they claimed it to be just revenge from British colonialists. Chadha though has an eye for detail, which she uses in this film effectively. The film was not allowed to be shown in Pakistan on the pretext that Jinnah has not been shown in a good light, which is partly true. But the film shows the human urge for love and empathy despite all the hatred generated by religious or other divisive tendencies, and gives a message that the “heart cannot stop beating even during a bloody partition”. The author is a retired professor of Jawaharlal Nehru University and the author of Understanding Bhagat Singh. Why Is the RSS Afraid of the Revolutionary Punjabi Poet Pash? After objecting to Rabindranath Tagore, Ghalib and writings on M.F. Hussain, the RSS ideologue Dinanath Batra now wants a poem by Pash, which depicts the general oppressiveness of society, removed from textbooks. The biggest ideologue of the Rashtriya Swayamsevak Sangh (RSS) on education, Dinanath Batra, recently came out with a proposal to remove Avtar Pash’s only poem ‘Sabse Khatrnak’ from the class XI Hindi textbook Aaroh. The poem by the revolutionary Punjabi poet – who was killed by Khalistani terrorists on March 23, 1988 – was first published in 2006. The National Council of Educational Research and Training (NCERT) revised its textbooks for all subjects under the National Curriculum Framework of 2005. History and Hindi are the two subjects that had invited the ire of RSS. The expert committee in Hindi was led by professor Namvar Singh as its chairman and professor Purushottam Agarwal as chief advisor. For history, professor Neeladari Bhattacharya was the chief advisor. On August 18, 2006, BJP leader Ravi Shankar Prasad (now the law minister) raised the issue of the publication of “objectionable” material in NCERT books in the Rajya Sabha. Interestingly, the whole debate was in Hindi and I had gone through it in 2006, before writing an article titled ‘Issues and Facts about NCERT Books‘. But now, one cannot find Devanagari script on the Rajya Sabha website in order to read this page. There is a good record of the Rajya Sabha Official Debates, but little record of Rajya Sabha Verbatim Debates – this particular issue was part of the latter. Roy apparently did not know that Pash’s poem was included in class XI textbook and not for younger students. Now, Batra, who retired as a Hindi teacher from a school, has not only objected to Pash’s poem, he has also targeted Rabindranath Tagore, Ghalib, Urdu phraseology in general, writings on M.F. Hussain, etc. Whatever BJP MPs had said of Hussain in 2006 in a Rajya Sabha debate has been repeated by Batra now. Just as the reference to Tagore being omitted from NCERT books created a stir in Bengal and even in the the parliament, Punjabi writers too have vehemently come out against Batra/RSS’s recommendations. Incidentally, Akka Mahadevi and Pash are the only two non-Hindi poets included in the class XI textbook. Pash’s poem – included in an anthology – veers towards the philosophical. While talking about oppression in society, the poet muses on the significance of dreams and he finds ‘the death of dreams’ as the ‘most dangerous’ human predicament. Perhaps the RSS and its cohorts are afraid of dreams, as dreams lead to inspiration, which further lead to transformational ideas of better humanity – which is dreaded by RSS like often by religious fundamentalist bodies. So the dreamer poet, who was assassinated by religious fundamentalists, now must be kept away from young minds in school. But why has Pash offended the RSS so much? Read his poetry and the answer immediately becomes clear. Pash is one of the major Punjabi poets whose works are a part of the syllabus of several universities. Pash’s works have been translated into major Indian languages like Bengali, Gujarati, Marathi, Telugu, Malayalam, Kannada, Hindi etc. The University Grants Commission, in its model course designed during earlier NDA rule, had recommended teaching Pash. His poetry has been compared to that of Pablo Neruda and Lorca, and he was murdered for confronting Khalistani terrorists directly through his poetry. Born on September 9, 1950, Pash’s first collection of poetry ‘Loh Katha’ (Iron Tale) came out in 1970 and earned him instant recognition. His 1974 collection ‘Uddade Bazan Magar‘ (After the Flying Hawks) and 1978 collection ‘Sade Samian Vich’ (In Our Times) immediately made him one of the major Punjabi poets of his generation. Translations of his poetry got him recognition throughout India. After 1978, till his assassination a decade later on March 23 – a day of his own hero Bhagat Singh’s martyrdom – he published a few poems in journals, but not in any collection. In this period, he brought out journals, set up a school and challenged the Khalistani interpretation of Gurbani. He then moved to the US due to threats from Khalistani terrorists, but continued writing against both state and Khalistani terrorism in poetry and prose. On a visit to India in 1988, the day he was supposed to return to US with his village friend Hansaj, both were assassinated in his village Talwandi Salem near Jalandhar. His complete poetry was published in different volumes after his assassination and recently his complete prose collection ‘Talwandi Salem nun Jandi Sadak’(The road going to Talwandi Salem) has been published. Out of Pash’s nearly 200 poems, T. C. Ghai has translated 102 poems in English as well. Two films have also been made on Pash. Rajiv Kumar, the internationally renowned director of Chamm and Nabar, made Apna Pash and another director made Chauras Chand. Pash’s very first poem is titled ‘Bharat.’ It announces his own sense of nationalism, which is based on working people’s India. And the rejection of Indian nationhood comes in a poem titled ‘A Petition for Disinheritance’, based on the misbehaviour against Sikhs traveling on the Ambala-Delhi highway during the time of the 1982 Asian games. If Pash attacks the Indian state for its oppression, he does not spare Bhindranwale followers for their cruel acts as well. Were he alive today, he would have definitely written about the murders of intellectuals and dissenters. Chaman Lal retired from JNU as Professor in Hindi Translation. He has translated poetry of Pash in Hindi and edited documents of Bhagat Singh in several languages.